BUMPING OLD THREAD BECAUSE After months of waiting we finally have more 6ULs arriving in stock TODAY JUNE 8th!. Figured I'd bump this thread to ask instead of starting a new one -- do you have any plans to carry the new round of 6ULs/6ULRs when they come out in May/June? DFS wrote: Figured I'd bump this thread to ask instead of starting a new one -- do you have any plans to carry the new round of 6ULs/6ULRs when they come out in May/June? Yes....we have 200 on the way. 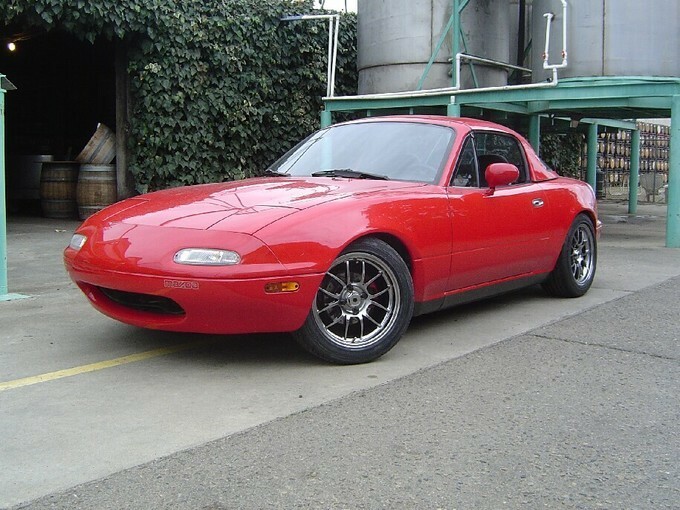 Is it a lock that these wheels will be in in June? Don't mind waiting - but not much past May. Out of the 200 will you have Black 15 x 8's? 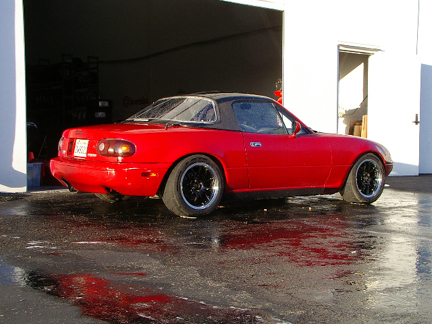 If so do you recommend for a stock NA with either 195 - 50 or 205 - 50? Will have plenty of black. Note the new black will be a flat black (and no machined lip). As for when they will show....I don't have any reason to think they won't be here by then. 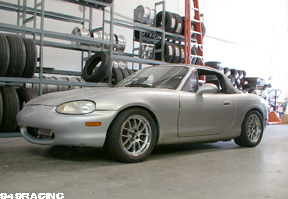 Is the wider wheel a good choice for a 195 or 205 - 50? Any specific benefits the the additional width? I don't see much point in putting a street tire in the 195 size on an 8 inch rim. However, a race tire in the 195 size would benefit from increased sidewall support with a more stable contact patch. Note that tire manufacturers cheat quite a bit on their sizes for race tires (195 size tires used for racing are often more like 205mm wide tires, etc). For street use a 205/50 or 215/45 would work great on the 15x8....and give you a little more protection from curb rash. I thougt the 205's would be the better choice. Please talk to my wife & daughters about curb rash - they've never met a wheeel they didn't want to scrape! Exactly my they won't be left alone with my Miata. New shipment just arrived....got a few sets left of 15x9 BLACK, 15x9 Silver and even 15x9 Nickel.